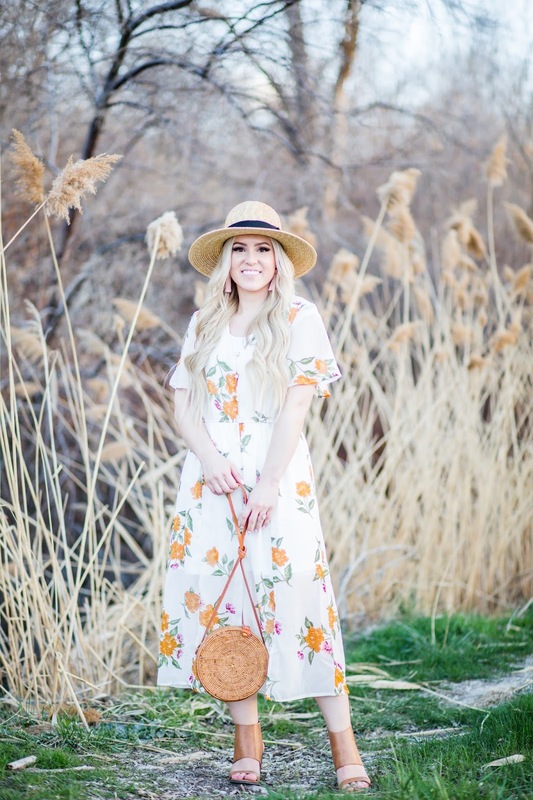 There is something about a floral dress that I love in the spring time! If I could, I would wear a floral dress everyday. 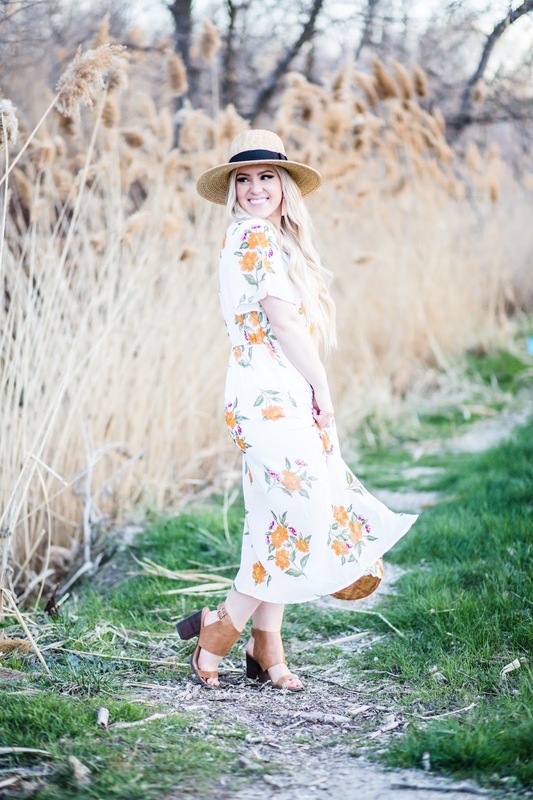 I saw this warm floral dress on ASOS and loved how flowy and perfect it would be for spring. I would recommend sizing down one size if you decide to snag this dress, as it runs a little big! I usually wear a size 6 from ASOS and needed a 4. 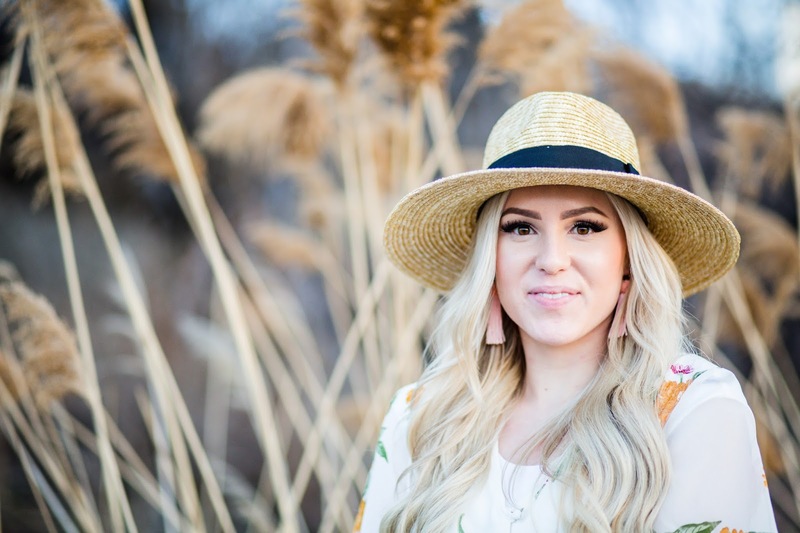 One of my favorite things about spring is all the straw accessories you can add to your outfits! I bought this round woven bag last year from Etsy, but found this similar one at Urban Outfitters as well. It was my most used bag during the spring/summer last year, and I can't wait to continue to use it! 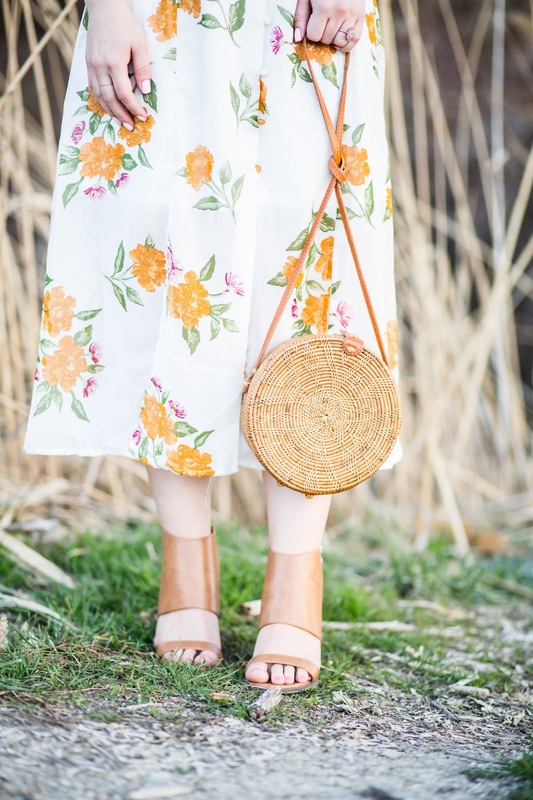 This warm outfit makes me excited for warmer days to come! 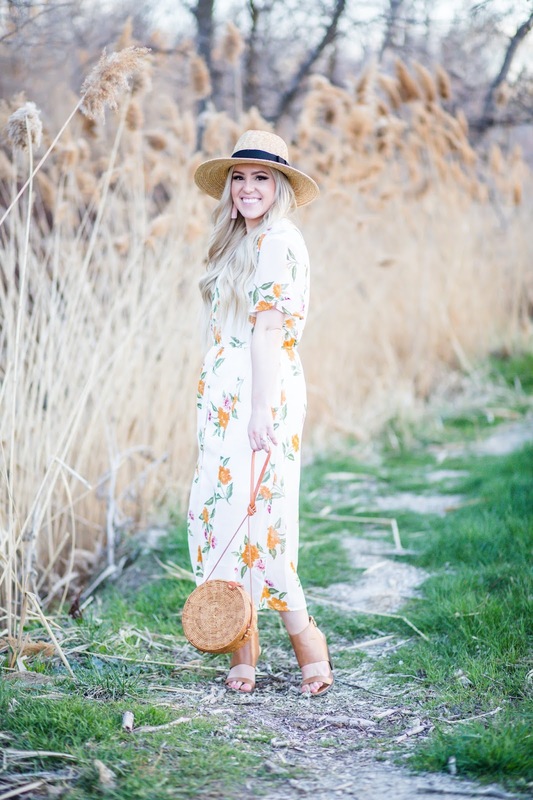 I have had so fun planning spring outfits this year. 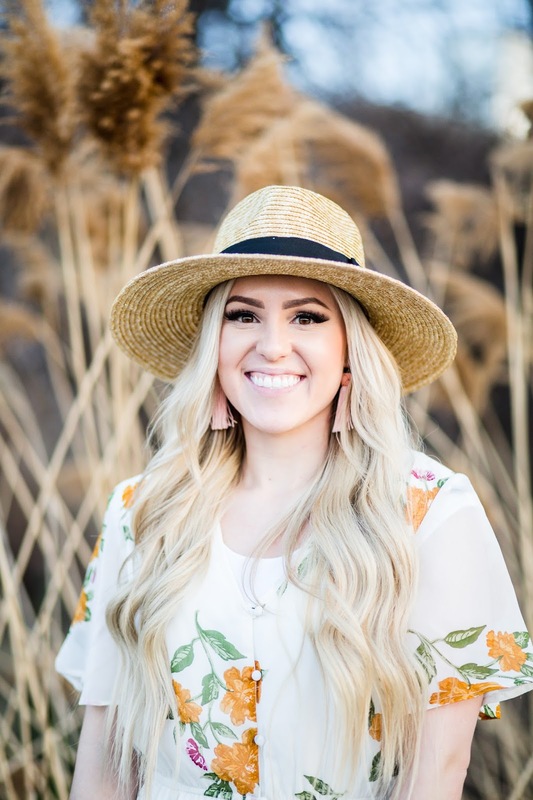 So I am excited to share more of my style with you this spring! This dress is soo cute! 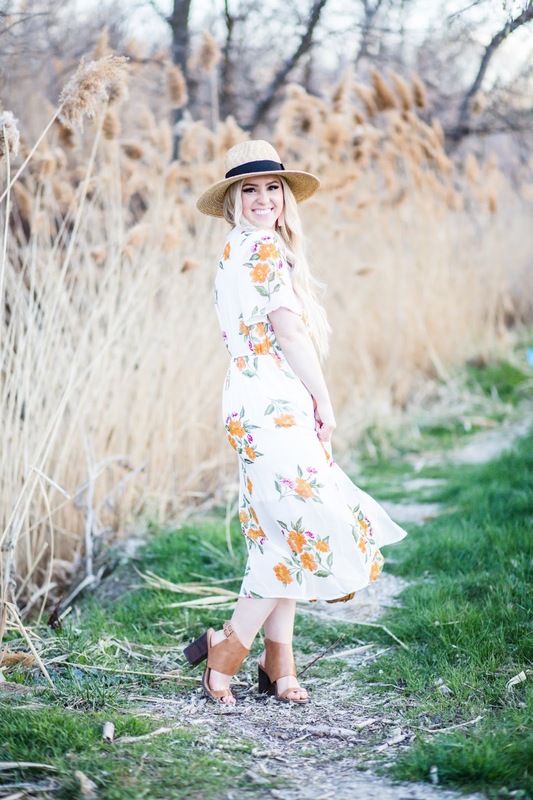 Floral for Spring is always super fun! :) I LOVE your straw circle bag! I've been so obsessed with circle bags lately! I agree! It is so fun in the spring! Thank you so much! I have been obsessed with them as ell! This floral dress is stunning! 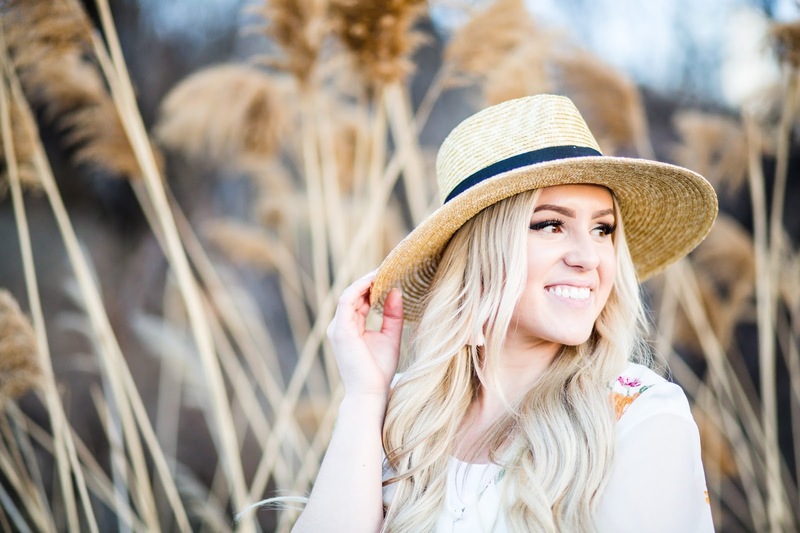 So perfect for spring and summer!